The inspirational sermon by Rev. Amy DeLong at Sing a New Song will be the highlight of the October MFSA meeting to be held at Saint John’s UMC on October 13. Sing a New Song, the collaborative convocation sponsored by MFSA and RMN was an amazing event! Almost 700 people came together in Huron, Ohio in late August to sing, pray, participate in learning events, and enjoy this spirit-filled convergence. Joy Butler, Anne Mund, and Rowland & Janice Curry will share photos and reflections of the event, and describe plans by the Common Witness campaign for General Conference 2012, as well as show the video of Rev. DeLong’s speech. We will also share stories from our participation in Austin’s Pride Parade, where we had over 40 persons from UMC churches! Videos of all Sing a New Song speaker presentations can be found at http://sans2011.org/multimedia/videos/ . The meeting will begin at 6:30pm for snacks and mingling. The program begins at 7:00. We hope to see you there! The General Board of Church & Society of the United Methodist Church and Witness to Innocence (www.witnesstoinnocence.org) are co-sponsoring death penalty events across the country in the next several months to engage communities in the debate about the death penalty in America. One of those events will take place right here in Austin on Tuesday, October18, at the First UMC Family Life Center. Four death row exonerees will tell their stories and talk about their experiences in the criminal justice system in our country. 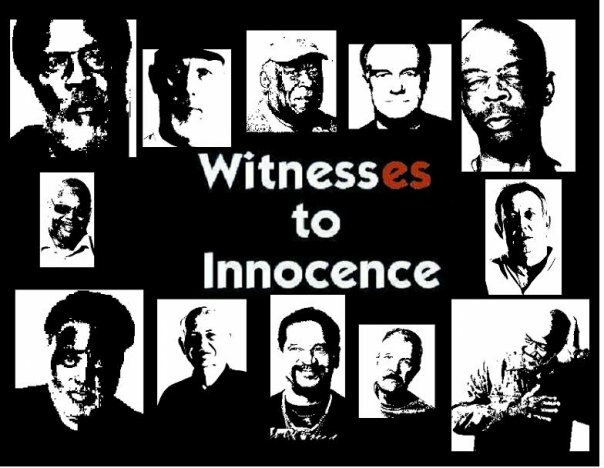 These members of Witness to Innocence bring a powerful voice to the discussion about abolition like no one else can. This program represents an exciting new partnership between United Methodists and Witness to Innocence that can help the church transform and save lives. The speakers, all professionally trained storytellers, will share their journeys from death row to freedom. The General Board of Church & Society of the United Methodist Church, along with local communities of Christians, Jews, Buddhists, and Friends, invite interested persons to gather for this meaningful program. Light snacks will be served. The event is free and open to the public. Free parking is available in the parking garage across from the event. 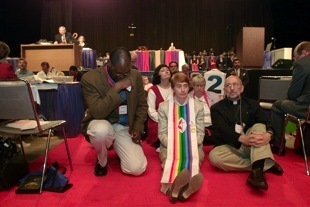 In 1996, the UMC adopted into church law that no pastor could officiate over a same-gender union and such a ceremony could not occur in a local Methodist church. These laws have ignited over 80,000 United Methodists to dissent from denominational policy and advocate for change in the UMC by demanding that the discriminatory language be eliminated from church law and that the doors of the church be open to all. “Incompatible with Christian Teaching” is a documentary film detailing the stories of clergy and laity, and GLBT and straight allies. Some have been arrested while others have been tried by the Judicial Council. Each has demanded that the church live into the true meaning of the Gospel. 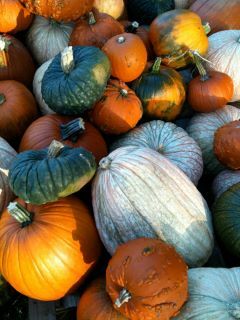 Be sure to shop for pumpkins at these area United Methodist Churches in October: Bethany, Grace, Northwest Hills, Saint John’s, and Tarrytown. Proceeds go to mission and service projects at these churches. Lace Up for Local HIV Care and Prevention on October 16, 2011! We need you to raise awareness and funds to reduce new HIV infections and provide care to people living with the disease. Please join the local AIDS relief effort by registering to walk or by donating today! http://www.asaustin.org/site/PageNavigator/walk/walk_home. 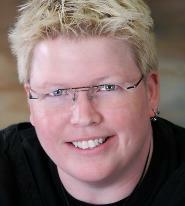 First UMC member, Lisa Owens, is CFO for AIDS Services of Austin. Olympic Gold Medalist Greg Louganis is the Honorary Chair of AIDS Walk Austin 2011. Louganis, who tested positive for HIV in 1988, will speak at the opening ceremonies and will lead the 24th annual Walk. Aside from his success in diving, Louganis is an activist, actor, dog trainer, speaker and author. His best-selling autobiography, “Breaking the Surface,” spent five weeks on the New York Times best-seller list. For the first time since 1988, Louganis has returned to the world of diving as a coach for Team USA in advance of the 2012 Summer Olympics in London. He recently started the Greg Louganis Positively Pet Fund to provide food and veterinary care for pets of people affected by HIV and AIDS. There is a great deal of talk in all of the world’s faith traditions about “light.” Light guides our steps, illumines our hearts, dispels our worries, reveals the truth, and brings forth wisdom. At a very deep level, we hunger for the company of those who bring light into our lives. In this spirit, we invite you to share your light with us at A Night Under One Sky, iACT’s beautiful fall fundraiser at the Umlauf Sculpture Gardens. It is an evening like no other on the Austin social calendar- and opportunity to join with a unique community of individuals all committed to lighting candles in this often dark world. Join us, Tuesday, October 11, 2011 at 6:30 p.m. until 9:00 p.m., for a sacred evening of dining and dialogue in celebration of the relationships we have and those we hope to build. To purchase tickets or become a sponsor please do so as soon as possible, seats are filling up quickly. If you have any questions please respond to this e-mail or call us at (512) 386-9145 x302. The Red Bench: Interfaith Conversations that Matter are centered on moderated small group discussions that are genuinely respectful and safe. No one has to be an expert – individual participants are invited to share from their personal experiences and listen with their hearts. The next of the Red Bench conversations will take place on Tuesday, October 25, at 6:00pm. The First UMC Reconciling Team is excited to announce that Rev. Amy Delong will be the speaker at the First UMC-Austin Reconciling Service on April 15, 2012 and hope that many of you will be able to join us. Please spread the word to your congregations. Starting time for service will be announced at a later date. It is typically around 6:00PM.